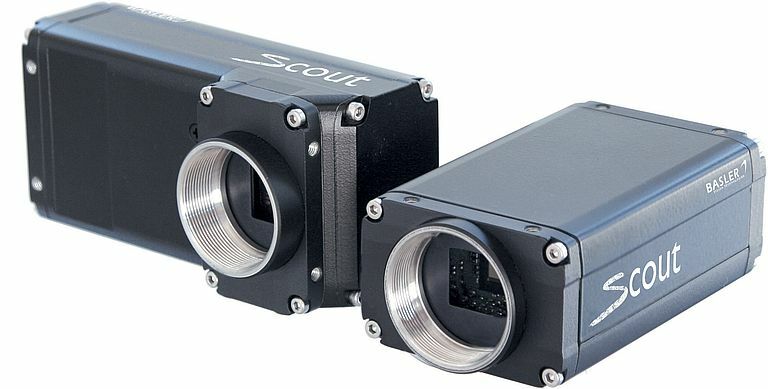 Basler is launching new models in the scout series: the scA1600-28 models that deliver 28 frames per second (fps) at 2 megapixel resolution. The cameras feature the Sony ICX274 CCD sensor in both monochrome and color. They are available with either a GigE or IEEE 1394b interface, as well as in a 90 degree housing version. The combination of a 2 megapixel sensor, a wide range of features, good image quality, and 28 fps speed makes this camera attractive for a variety of markets such as ITS (Intelligent Traffic Systems), medical imaging, and several other industrial applications.